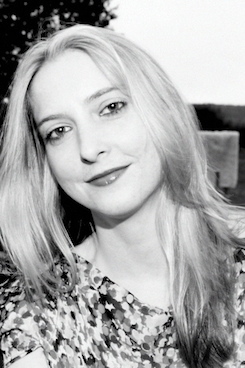 Daisy de Villeneuve studied Fashion and Fine Art at Parsons School of Design in both New York and Paris. The London born illustrator, designer and writer is renowned for her offbeat, felt-tip illustrations. He Said She Said and I Told You So, her quirky books for Pocko Editions & Chronicle books, have been hugely successful. Her felt-tip illustrations have graced shoeboxes for Topshop, followed by the 'Daisy de Villeneuve for Topshop' illustrated range of household products in 2003, packaging for Moët & Chandon, cosmetic bags for Boots and T-shirts for the V&A Museum.Other clients include Nike, Habitat VIP, Juicy Couture, QVC, Globetrotter, British Vogue, Elle Decoration, Grazia China, Colette Paris, Browns Focus and department stores Shinsegae, South Korea and Liberty, London. De Villeneuve has exhibited in numerous group shows worldwide including Tokyo, Athens, Zurich & New York. Daisy has had solo show's at London's Fashion & Textile Museum and The Laing Gallery. To celebrate 25 years of the British Fashion Council in 2009, Transport for London commissioned her to design a special edition Oyster card holder, along with t-shirts & mugs. She designed textiles for designer, Zac Posen's Z Spoke S/S 2011 collection. Daisy has featured as a British style icon in advertising campaigns for Gap and Uniqlo. Daisy de Villeneuve currently resides in Paris. A good friend of mine mentioned me to Andrew, and said to me that he'd be able to offer me great advice. 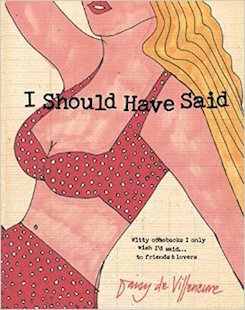 Daisy de Villeneuve’s new book I Should Have Said, a collection of esprit d’escalier quotes and illustrations, is generating huge interest. ‘We loved this book. Wonderful illustrations and witty retorts. Daisy de Villeneuve is effortlessly cool and this book is fun and entertaining’.